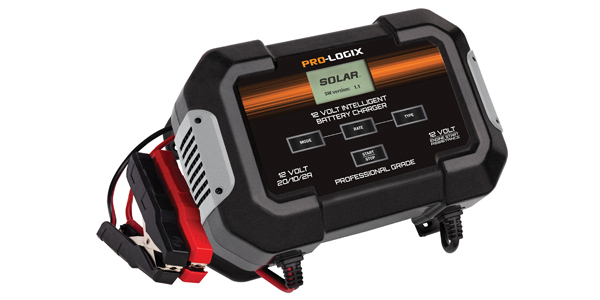 Clore Automotive has introduced a new 12-volt 20/10/2A Intelligent Battery Charger with Engine Start Assistance, model no. PL2545, from SOLAR. Designed to provide continuous operation in a wide variety of professional/industrial battery service environments, the PL2545 combines fully automatic operation utilizing a proprietary multi-phase charging process with the ability to properly charge multiple battery types. For more information, visit cloreautomotive.com.